This beautifully remodeled Villa lives like a single family home. It’s completely updated with new flooring, dramatic upscale lighting, gorgeous kitchen & bath finishes, new paint inside and out, newer A/C and roof! 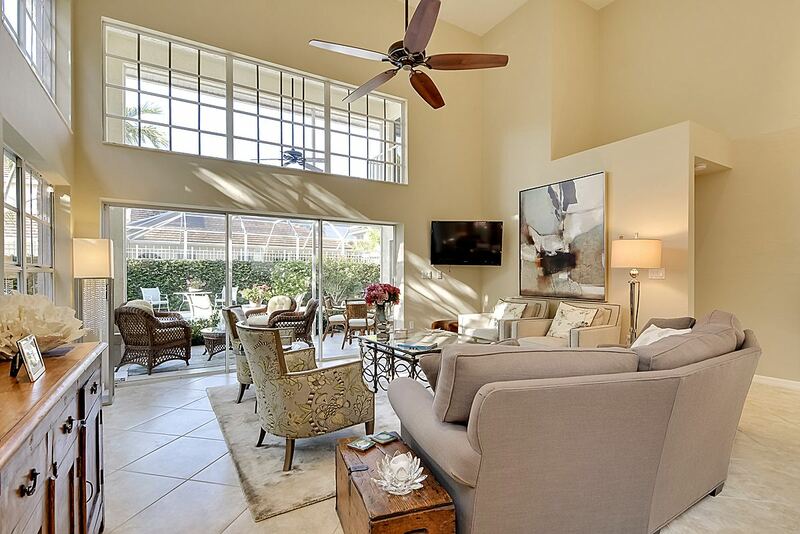 The 1st floor of this 4 bedroom home has a great room with 17′ ceilings, a remodeled eat in kitchen, a large master bedroom overlooking the pool & a den with an accessible 1/2 bath. The 2nd floor has a full bath and 3 generous bedrooms including an add’l master bedroom with room to add a third full bath. Outside there is a serene spa like back yard covered in vines with a lovely private pool! Windstar has a 72 slip marina, a private beach on Keewaydin Island, a championship Tom Fazio designed golf course, 6 Har-Tru tennis courts a state of the art fitness center plus a newly remodeled clubhouse! It’s one of the best kept secrets in Naples….Windstar on Naples Bay, located minutes to downtown and the beach!